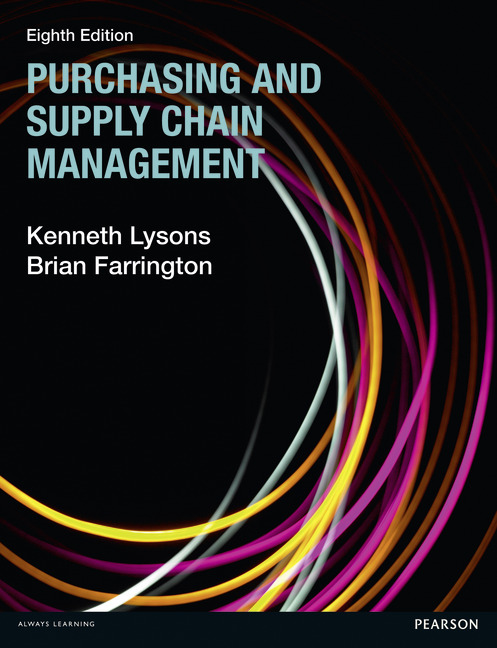 We have just received our advanced copy of “The Book” The publication of Purchasing & Supply Chain Management, Eighth Edition marks the 28th anniversary since the first edition was published and seven years since the Seventh Edition made it to the bookshops. It has undergone an extensive overhaul with each Chapter being reviewed and all new case studies. In total 712 pages. The official release is on 8th March 2012 but it can be pre-ordered from Amazon.co.uk. and Amazon.ca for those who want to be the first to get it. Another way to be at the front of the queue, is for readers of our newsletter, who will get the chance enter a competition to win a signed copy. If you would like to enter the competition but don’t yet receive the newsletter, send me an email at r.gambell@brianfarrington.com and I will add you to our circulation list. The February Newsletter gives the details of how to enter. There is no cost or obligation and you can unsubscibe at any time. Previous editions have been translated into Chinese, Russian and Polish, and Pearson, the book’s publisher, has recently announced that they plan to issue it in India, Bangladesh, Bhutan, Pakistan, Nepal, Sri Lanka and the Maldives. I have volunteered to undertake a one month promotional tour to the Maldives but I am still waiting to hear if the advertising budget will stretch that far! You are aware of for that reason significantly in the example of that subject matter, made me i believe accept is as true out of several several perspectives. It has the just like people ‘re not serious unless it is actually something to complete using Lady crazy! Your very own stuffs spectacular. On a regular basis take care of it up!